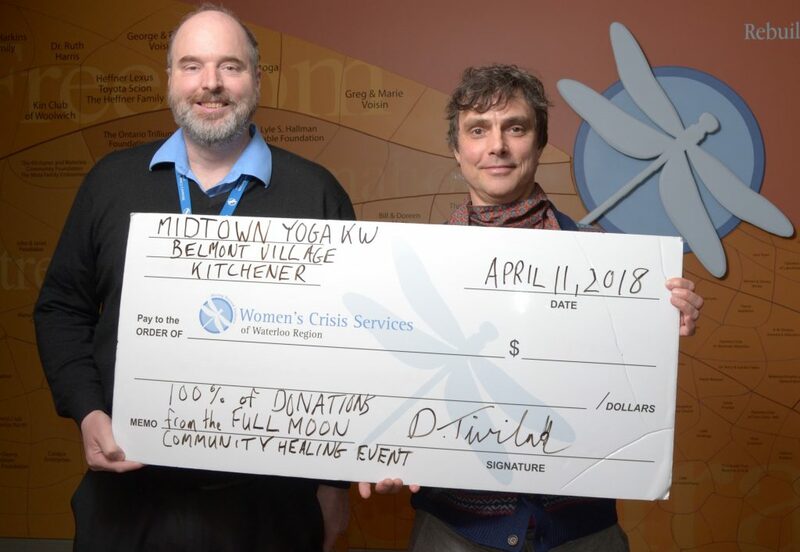 DOLLAR STRETCHER: Thanks, David Tiviluk (R) and your team at Midtown Yoga for organizing your Full Moon Community Healing Event to raise funds for Women’s Crisis services. 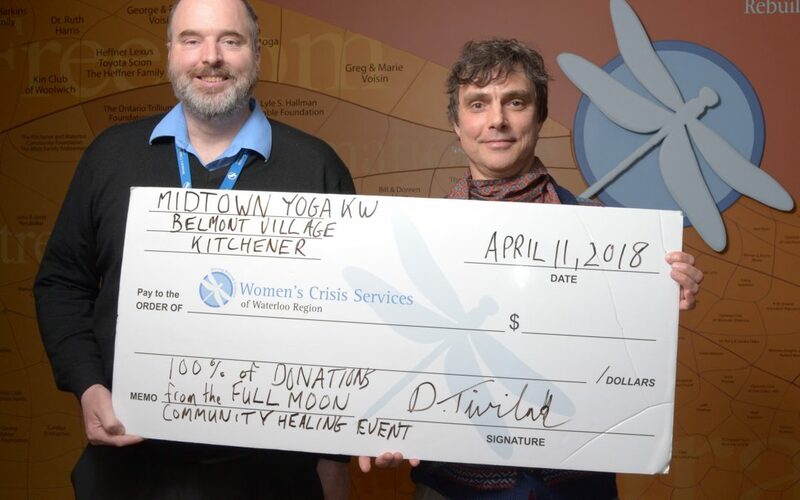 We are grateful for your initiative and thoughtfulness in raising funds and awareness for our cause–helping women and their children move beyond violence. Thanks. Alan Sharpe (L), Fund Development Manager.